Explore a new world of biblical adventure and excitement through this entertaining collection of stories. There are many trivia games in society today -- from radio programs and board games to online quizzes and contests. People love those little-known facts that most of the time escape our attention. Puzzlements & Predicaments of the Bible takes great truths of Scripture and translates them into easily learned tidbits of information in an innovative manner. This book will keep readers wanting more as they cover sections, such as "Curious Crimes," "Baffling Behavior," "Sinister Schemes," "Momentous Miracles," and "Exceptional Escapes," as well as chapters titled "The Night Stalker," "A Donkey's Tale," "Dead Man Walking," "Grapes of Wrath," and "A Wife Unmourned." Riveting and compelling, these tales will entertain and inform without fail. 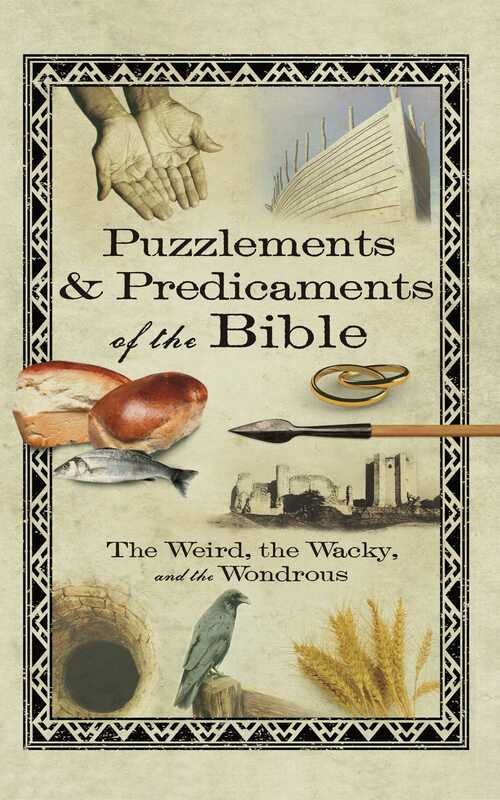 Puzzlements & Predicaments of the Bible's fresh approach to the Bible reveals a variety of facts and stories that will have the words jumping off the page, alternately surprising and sobering readers as they are brought to a better understanding of God's Word.